A small nest of ants may not look like a big problem, but it’s only the tip of a colony that grows every day. What may appear to be several hundred scurrying pests is actually an insect city of thousands or even millions. These invaders build unsightly mounds, damage plants and destroy expensive landscaping. Commercial kitchens naturally attract ants, but restaurant floors are targets too. Different species present different problems, from carpenter ants that feed on wood to pavement ants that burrow against building foundations. Their tiny size makes it impossible to keep them out, and their sheer number makes them hard to control without the aid of a professional. Commercial Ant ControlThese pests thrive in practically any climate, and your property is a target for infestations. From commercial kitchens to storefront landscaping, these invaders set up home and do their damage. Bugs around or inside your building are unsightly, and they pose a potential health hazard. It’s important to identify the situation early and get it under control. TORO Pest Management specializes in ant control services for commercial locations such as offices, restaurants, bars, retail stores, malls, and more. Recognizing the potential problem of an ant invasion is the best strategy, but you don’t always realize how serious the situation is until it’s too late. Fortunately, it’s never too late to call in our full arsenal of trained personnel and specialized equipment. We take care of the infestation from the nest up, attacking the colony with our proven methods. Identifying the species is the first step; different ants require different strategies, and we have the expertise to handle them all. We eliminate the source, protect your property from future invasions and always adhere to the highest professional standards. Whether working in the kitchen or around the building’s exterior, we meet and exceed the full spectrum of Federal and State regulations and protocols. Ants don’t always look like threats when they are within a property until visible damage from starts to manifest. Professional ant control is needed in infested areas for numerous reasons. The ant services are important because you never know the magnitude of the infestation. If you try controlling the ants yourself, you will only manage to get rid of a few as the rest hide in their nests. This is especially so if you fail to identify where the nests are. With the professional Toro ant control services, you can be sure that ant monitoring will be done to identify the exact nest location to makes successful eradication possible. The ants can leave your property looking unsightly with the mounds they create. They sometimes can build the mounds in areas that are too hard for you to reach and deal with effectively. With our control services, you can be sure the mounds will be dealt with in the most effective way without posing any risks to your property or family. They can be damaging to plants and can even end up destroying your expensive landscape if they are not controlled as soon as they appear. If you value your landscape, then you know how disappointing such damages and destructions can be. By calling in Toro Pest Management professional ant control services, you will save your landscape and plants that give your garden that beautiful look.. The ants can leave kitchens looking unsanitary. Commercial kitchens have a tendency of attracting the ants naturally and so are restaurant floors. This is because they have food for the ants. If you are in the food business, professional ant control is important in maintaining a good image and reputation. It can damage your image if your customers can’t eat in peace because of the marching lines of ants. The ants are very tiny and this makes it very hard to keep them out of your property. They are also in very high numbers, making the control process trickier for you. If you don’t have the right products and techniques, you might end up dispersing them all over your property with minimal results with your control efforts. Toro control services are a success because the right ant control products and techniques are used for maximized results with these tiny pests. The ants thrive in all climates and this means that all types of property are vulnerable to an infestation. It might be impossible for you to deal with the ants in large areas such as your bar, restaurant, mall and retail store and even home. Toro Pest Management services on the other hand will thoroughly eradicate the ants regardless of the property size and will take care of both the exteriors and interiors of the property. Toro meets the full spectrum of Federal and State protocol and regulations; hence we offer the highest professional standards in controlling the ants in any given areas. We will effectively deal with all types of ants using our specialized equipment and trained personnel. The process begins with the identification of the ants in your area. This is important because different ant species call for different handling and control techniques to eradicate successfully. As part of the project, we will eliminate sources and keep your property protected from any future invasions. 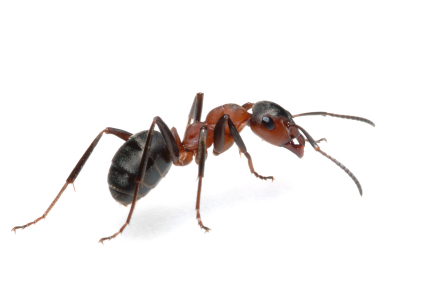 TORO Pest Management is your commercial ant control expert! Commercial properties have unique concerns, and we’re glad to answer all of your questions. Ant infestations require a focused strategy of proven solutions. We identify the specific pest, tailor our services to your business and follow up to make sure that you’re completely satisfied. We understand that safety, reliability and discretion are important to your commercial establishment. Our professional technicians are highly trained, reliable and respect the special needs of every business. Give TORO Pest Management a call, and let us provide you with a permanent solution to your pest problem.